If you grew up playing video games and PC games and prefer playing action-packed games which are created for proper gamers over social gamers, simply continue reading to discover a few of the best gamer games currently available. If you’re a fan of highly realistic, fast-paced, first-person shooters it’s well worth playing Call of Duty: World War II. Call of Duty World War II is the 14 title which has been released in the ever popular Call of Duty series and follows an infantry division who finds themselves fighting on the Western Front. One of the advantages to playing Call of Duty: World War II is that it offers a thrilling single-player campaign mode as well as a multiplayer mode. The latter of which should keep you busy for several weeks. If you’re interested you can interact with other online players, regardless of whether you plan on playing Call of Duty: World War II on PC or on a console by entering the headquarters, which is the games social hub. If you prefer playing multiplayer online roleplaying games over first-person shooters it’s well worth giving World of Warcraft Battle for Azeroth a try. 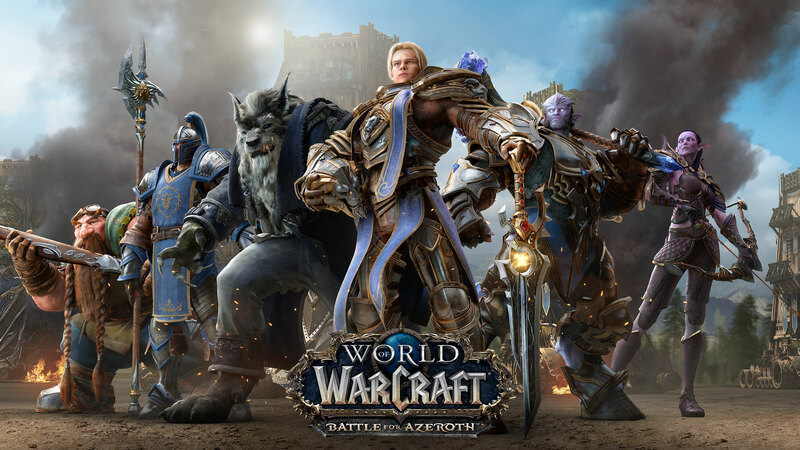 World of Warcraft Battle for Azeroth is an expansion pack for the popular online game World of Warcraft and allows players to level up their avatars to level 120. So if you’ve previously played World of Warcraft in the past, you may be tempted to reactivate your World of Warcraft account in order to join your friends in the most epic online battle to take place. If you’re interested there’s no better time to start grafting and upgrading your World of Warcraft character than the present, especially if you want to be involved in the series biggest battle to date. If you enjoy playing games which boast rich open world gameplay which offers giant maps which you are free to explore to your heart’s content, it’s well worth playing Far Cry 5 in your spare time. Far Cry 5 is one of the most popular adventure first-person shooters to be released and is centered around building a resistance in order to take down Eden’s Gate which is a fanatical cult which is focused on taking over the USA. One of the advantages to playing Far Cry 5 is that you can choose to employ stealth tactics or to go out guns blazing in order to take down your enemies. As an added bonus, you can also steal vehicles in order to get around your map quicker and you have the opportunity craft a multitude of different items, which can help protect yourself from damage or take down your enemies faster. Fallout 76 is due to be released in November 2018 and will be the Fall Out series ninth title. If you can’t get enough of playing survival themed online multiplayer games, it’s well worth testing Fallout 76 as soon as it’s released as beta testers have already sung its praises. So if you’re a proper gamer looking for a new title to play, you can’t go wrong selecting any of the 4 titles which are mentioned above!